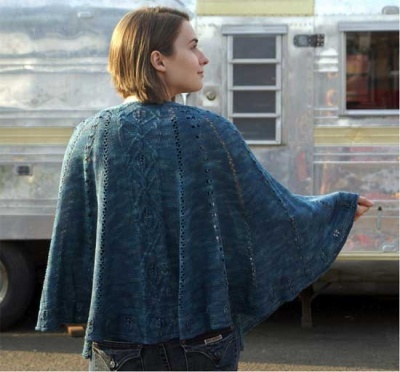 From Sivia Harding comes a simply lovely shawl, perfect for the cooler weather and embellished in a most wonderful fashion -- beads and cables, oh yes! "This unusually shaped wrap utilizes my favorite center back panel treatment, combined this time with wide, half-circular side panels. The overall effect is of wings which are anchored beautifully by the intricate leafy cables at the back. Interestingly, the combination of shaping techniques produces a wrap that will stay put where it is supposed to, and feels wonderfully generous to wear. "Subtly textured in reverse stockinette stitch with beaded accents and with a minimalist feel, this wrap is warm and light as air. The beads, which are placed with the crochet hook method, add weight where it is needed and reveal glints of treasure hidden in the leaves which circle the bottom edge." For those to whom it looks familiar Inkberry was first published in Twist Collective in 2010. And is now available through us. 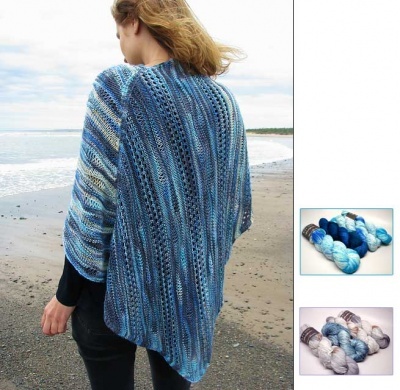 The photos you see here were all taken by Vivian Aubrey, of the original as knit by Sivia. 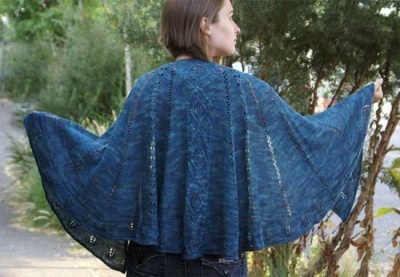 The shawl is worked from the top down, starting at center back neck. 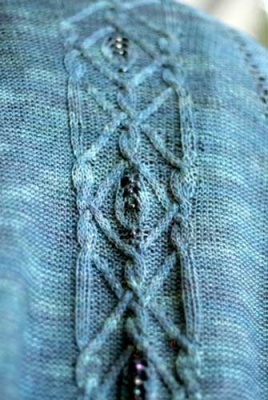 As is usual in Sivia's designs, the lace patterns are both written and charted. Bear in mind that you will need one of the very very thin crochet hooks in order to add the beads in this method -- we carry a high quality from Clover in size 14 that is great for this. 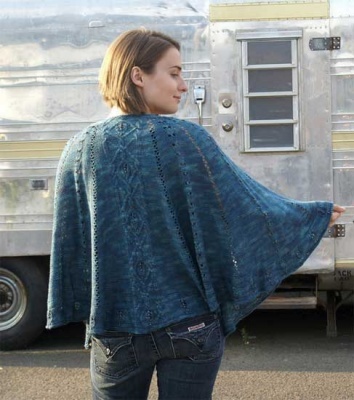 Sivia's patterns are always so very clearly written -- you will find yourself making an heirloom product with much joy.